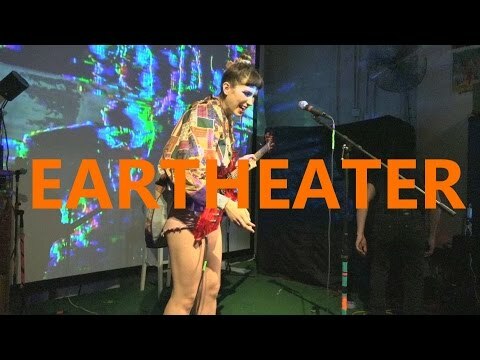 Eartheater is Alexandra Drewchin, a New York based musician and artist who seeks on a daily basis to upgrade her mental software. Also known for her shamanic performances fronting Guardian Alien, Eartheater is Drewchin’s unshackled solo vessel, a deliberate distillation of voice, synths, guitar, and electronic production techniques into short-form compositions teeming with crystalline details. October 2016 saw the release of her second album in the same year on Hausu Mountain, RIP Chrysalis. Flowing perfectly from here debut Metalepsis, RIP is a stunning up step. At any given moment, an Eartheatercomposition reads somewhere between a folk song, a musique concrète collage, and a filmic suite fit to soundtrack a cosmic montage that only she can imagine in full detail. Her intricate ballad arrangements rise from standing pools of hi-fidelity synthesis, while her dynamic vocal performances span an untold number of tactics and tonalities. Drewchin builds layered electronic productions possessed of enough detail to constitute stand-alone worlds, each weighted thick with text and texture. Possessed of a free-associative structure spiked with experimentations with the drone, ambient, and noise traditions, Metalepsis unfolds as a singular curatorial effort with Drewchin’s voice and guitar as its gleaming focal points. Eartheater is Drewchin’s personal evolution: as a musical process at once tethered to advancing technologies and to the flashes of humanity that escape between the circuits.